Over time your house can become cluttered with bits and pieces that you just can’t part with. As your house begins to bloat, consider adding a storage stool here and there to ease the load. These functional, yet fashionable little wonders are great at keeping your messy piles in good-looking hideaways. The best thing about a storage ottoman is their functionality. These multi-purpose items can be used as foot rests or even a spare seat if you have one too many for the couch. An ottoman storage seat is ideal for use in the bedroom or walk in robe. Perfect for picking out which shoes to wear, this nifty little storage stool also doubles as a storage place for items like socks, stockings or other shoe accessories. The additions of an ottoman storage seat may seem insignificant but it can make a big impact on the overall look of any room. 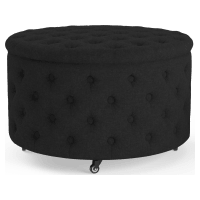 Added to a spare room, a round storage ottoman offers a small reading nook or storage space for fresh sheets. 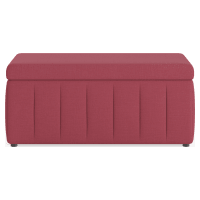 Whatever you choose to do with your ottoman with storage, the result will be the same – stylish and functional furnishings added to any space. 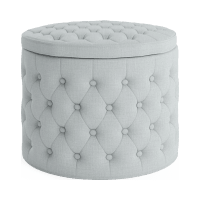 Pouffes can be used as footrests or as beautiful bedroom furniture. Elongated bedroom ottomans are ideal for placing at the end of the bed. These pieces can be a simple storage solution that doubles as a seat, or a sturdier place to sit when tying your laces. The options are endless when you decide to add an ottoman storage seat to your home.